A little throwback to our first ultrasound: 8 weeks pregnant. How am I already 37 weeks pregnant?! 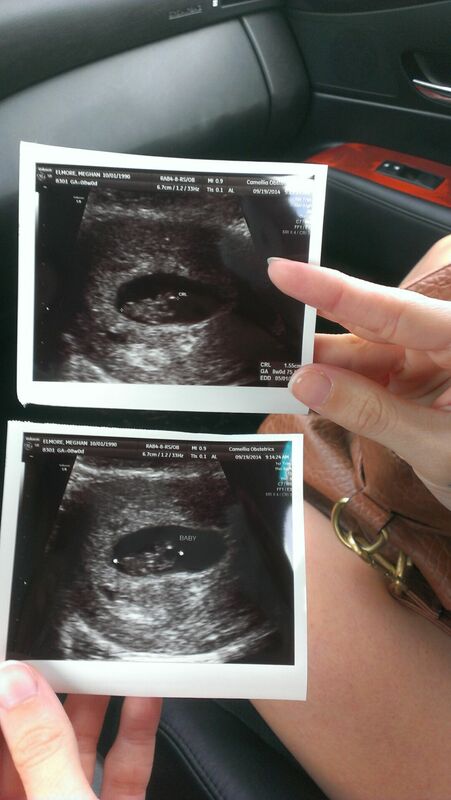 Every week we get closer to meeting our baby, yet I still feel like we just found out that we’re having a baby! Lucas already has a full wardrobe up until at least 12 months + some 18 & 24 months. Whoever said they don’t have cute baby boy clothes is mistaken, because I have a closet full of clothes that says otherwise. Lately, it’s been getting pretty hard to maneuver this pregnant body around. I’ve been having lots of trouble with my hips. Lots of waddling happening. My clothes are definitely getting a little too small with this big baby bump. 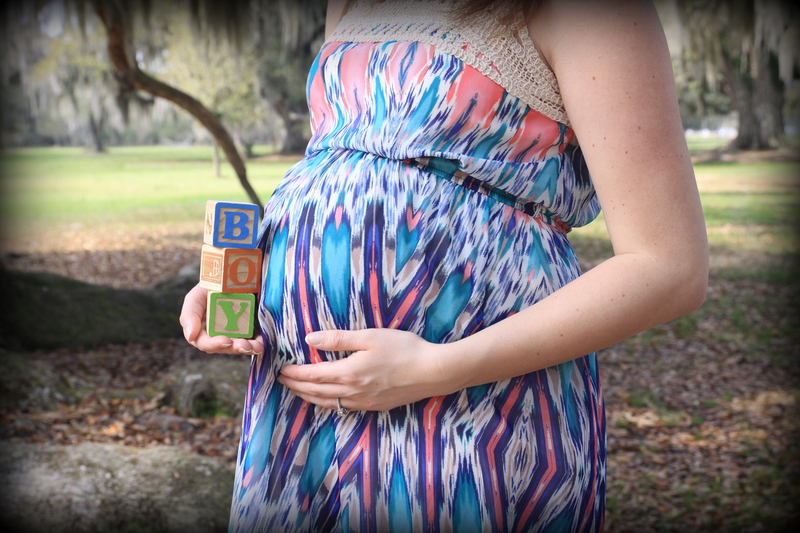 We can’t wait to have Lucas here with us, but I already feel like I’m going to miss him being in my belly. He is still active as ever. Since he’s a little bigger now sometimes it gets pretty uncomfortable, but I already know I’m going to miss being able to feel every kick & movement in there. I started packing my hospital bag this week. 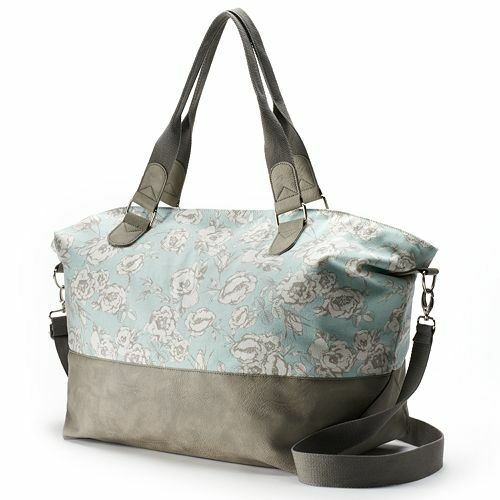 I got this really cute weekender bag at Kohl’s on sale PLUS extra coupons. Kohl’s is THE BEST place to save money! They always have good sales going on plus a ton of other bonuses, whether it’s using your kohl’s card, YES2U rewards, or Kohl’s cash. Anyway, this bag is perfect for the hospital. It’s fairly big to pack lots of stuff (for the weekend), and I love the blue/mint color. 🙂 So far I’ve got some ponytail holders, chapstick, some loose clothes for me, and nursing bras packed away in there. Obviously I still need to pack a few things, like Lucas’ coming home outfit & our camera. Since it’s our first baby, I’m not totally sure what all I should be packing, but being only two minutes away from the hospital is helping me not to stress about it too much. Pregnancy hormones are definitely still a thing. Getting emotional over the fake episode of Friends over here. I mean, Monica & Chandler’s proposal episode gets me every time, but I’m getting emotional over the episode that isn’t even the real Friends storyline. The one where Monica is still fat & Joey is actually a successful actor. Monica & Chandler still end up together. Best TV relationship of all time. THREE WEEKS LEFT UNTIL OUR DUE DATE! So many emotions happening. Excited & nervous for the fact that our lives are about to change forever. I can’t even imagine what it’s going to be like to hold our baby for the first time. He already feels like such a huge part of our family & in our lives. The anticipation is at an all time high, knowing that he is no longer considered a preemie if I happen to go in to labor at any point now. I’m hoping he stays in there a couple more weeks, but also hoping he doesn’t go past his due date.